ALS advocates lead the fight to defeat ALS on the frontlines. 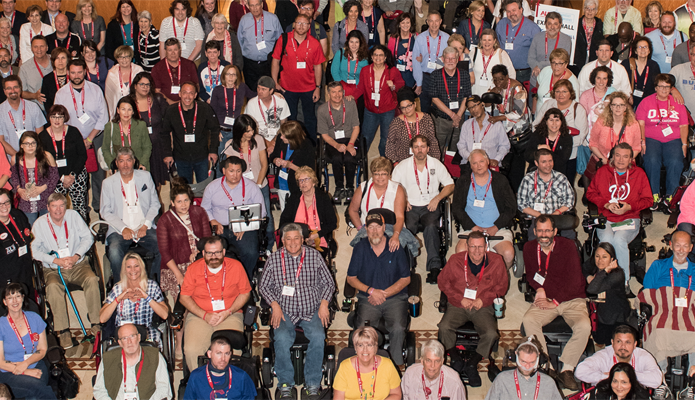 You can lead us closer to a world without ALS by joining the dedicated network of ALS advocates nation-wide. As an ALS advocate, you can help change the laws & policies that affect thousands of people living with ALS and their families. On behalf of people living with ALS as well as their family and friends, we want to thank the following Senators and Representatives for sponsoring the ALS Disability Insurance Access Actprior to its introduction in the 116thCongress. This legislation, introduced in the last Congress as S.379/H.R.1171, will eliminate the unnecessaryand distressing five-monthadditionalwait for Social Security Disability Insurance(SSDI)that people with ALS endure after they are determined eligible for SSDI benefits. Thank you to our Congressional sponsors who are providing leadership – and to all Senators and Representatives who are supporting this effort. View the full list of cosponsors here. The ALS Association has developed a report, “ALS in the Military: Unexpected Consequences of Military Service,” that details the numerous studies that have been conducted which have found that military veterans, regardless of the branch of service, regardless of the era in which they served, and regardless of whether they served during a time of peace or a time of war, are at a greater risk of dying from ALS than if they had not served in the military. The full report includes reviews of numerous studies, reports, and other evidence demonstrating the link between ALS and military service. A “Dear Colleague” letter is sent by a member of Congress to their colleagues in the House or Senate. It asks for colleagues to “sign-on” to a letter either supporting an appropriations request or cosponsoring a piece of legislation. All Dear Colleague letters are important in terms of moving legislation forward. When a Dear ColleagueAction Alert is posted, all members of the ALS community are asked to contact their Representative or Senators to ask them to sign on. A bipartisan group of 13 Senators signed a Dear Colleague letter calling for $10 million in funding for the DOD ALSRP for fiscal year 2019 (FY19). The letter was spearheaded by Senators Bill Nelson (D-FL) and Bill Cassidy (R-LA). The letter was sent to Defense Appropriations Subcommittee Chairman Richard Shelby (R-AL) and Ranking Member Richard Durbin (D-IL). The DOD program is a collaborative effort that includes researchers from the VA, NIH and the private sector partnering together to advance innovative approaches to research and treatment. Everyone who has ALS benefits from this research. 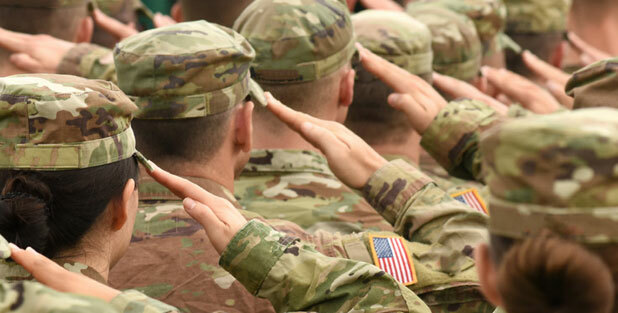 More than 80 Representatives signed a Dear Colleague letter calling for $10 million in funding for the DOD ALSRP for fiscal year 2019 (FY19). The letter was spearheaded by Reps. Dave Reichert (R-WA), Joe Courtney (D-CT), Peter King (R-NY), and Seth Moulton (D-MA). The letter was sent to Defense Appropriations Subcommittee Chairman Kay Granger (R-TX) and Ranking Member Peter Visclosky (D-IN). The DOD program is a collaborative effort that includes researchers from the VA, NIH and the private sector partnering together. Everyone who has ALS benefits from this research. A bipartisan group of 12 Senators signed a "Dear Colleague" letter calling for $10 million for FY19 in funding for the National ALS Registry at CDC. The letter was spearheaded by Senators Bill Nelson (D-FL) and Bill Cassidy (R-LA) and sent to the Senate Appropriations Subcommittee for Labor, Health and Human Services chaired by Roy Blount (R-MO) and Ranking Member Patty Murray (D-WA). CDC’s National ALS Registry collects, manages, and analyzes data about people with ALS, connects patients with clinical trials and helps researchers to move forward in find a cure. There were 65 Representatives that signed a "Dear Colleague" letter calling for $10 million for FY19 in funding for the National ALS Registry at CDC. The letter was spearheaded by Reps. Eliot L. Engel (D-NY) and Peter King (R-NY) and sent to the House Appropriations Subcommittee for Labor, Health and Human Services chaired by Tom Cole (R-OK) and Ranking Member Rosa DeLauro (D-CT). CDC’s National ALS Registry collects, manages, and analyzes data about people with ALS, connects patients with clinical trials and helps researchers to move forward in find a cure. This letter is currently being circulated by Sens. Bob Casey (D-PA) and Richard Burr (R-NC) and sent to the Senate Appropriations Committee chaired by Sen. Thad Cochran (R-MS) and Vice Chairman Patrick Leahy (D-VT). ALS Advocates Making a Difference! Annual government funding for ALS research has increased from $15 million a year to over $80 million a year, including a total of more than $950 million since The Association created a Public Policy Department in 1998. Eliminated the 24 month Medicare waiting period for people living with ALS, the only time the law has ever been changed since Medicare was created. Helped to implement historic regulations at the Department of Veteran Affairs that designate ALS as a service connected disease, ensuring veterans living with ALS and survivors have access to VA benefits. Led effort to enact the ALS Registry Act, which created the National ALS Registry and is the largest ALS research project ever created. It costs $1-2 billion and can take up to 15 years to bring an effective ALS treatment to market. Through a strategic collaboration of research, patient care, and public policy initiatives, The ALS Association is working to accelerate development of new treatments and ensure access to them. People with ALS are at the core of our mission, and to that end we are working to speed up the drug development process with several critical programs.